This slow cooker teriyaki chicken is a quick and easy meal that takes just minutes to get into the slow cooker. Perfect meal for those busy weeknights! 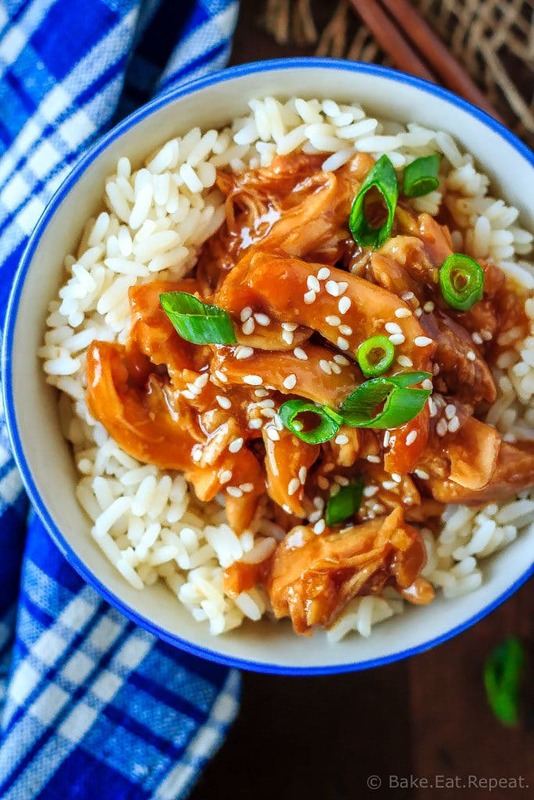 This slow cooker teriyaki chicken has made an appearance at our dinner table at least 3 times in the last month – and we’re not sick of it yet. I think that’s a pretty good indicator of how tasty this teriyaki chicken is! Also – it’s a super easy meal. One of those dump and go slow cooker meals that take absolutely no time to get going. Throw everything in and hit go. No browning, the sauce is super easy to mix up, and all you need to do at dinner time is make some rice and steam some vegetables to go with it. So easy. If you have a newer slow cooker you could probably even thicken the sauce in it by stirring in the corn starch slurry and turning it up to high for about 30 minutes before serving. Mine is a bit older and doesn’t get hot enough to thicken the sauce so I do it on the stovetop, but it only takes about 5 minutes that way so that’s my preference anyways. This teriyaki sauce, made with honey, is on the sweeter side. 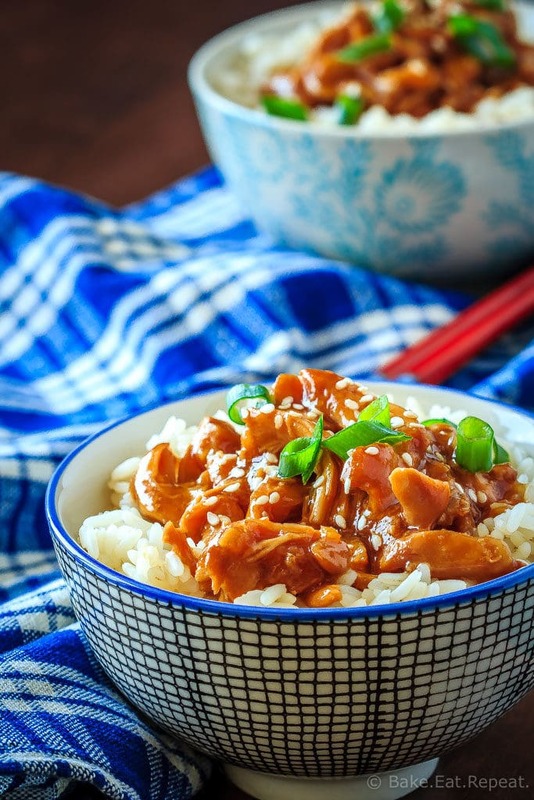 If you prefer a teriyaki sauce that is a little less sweet, you might like this Teriyaki Chicken Stir-fry, which uses a sauce that is sweetened with orange juice instead and only a little honey. 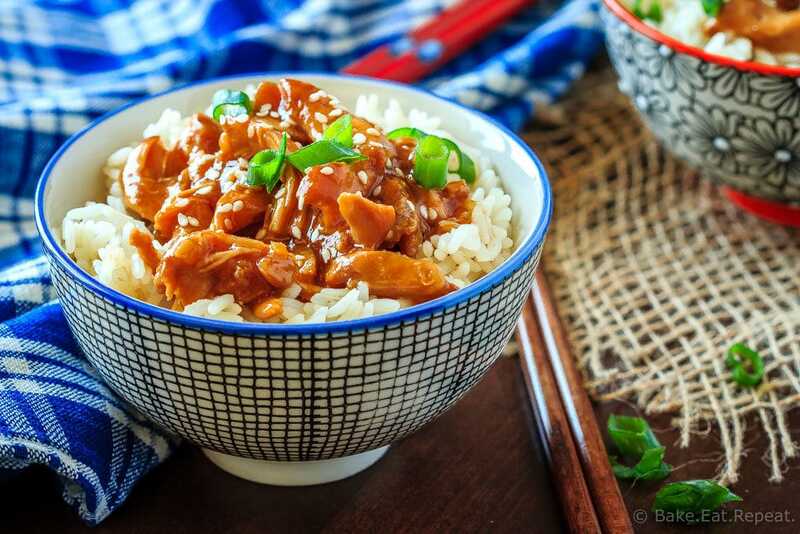 We enjoy both versions, and this slow cooker teriyaki chicken is definitely an easy, make ahead option for those nights that are crazy busy right around the dinner hour and you don’t have time to be cooking everything right before you eat. Plus, the leftovers make a great lunch the next day, or can be frozen for a future meal that just needs to be warmed up. That’s the kind of easy meal that gets made over and over here! 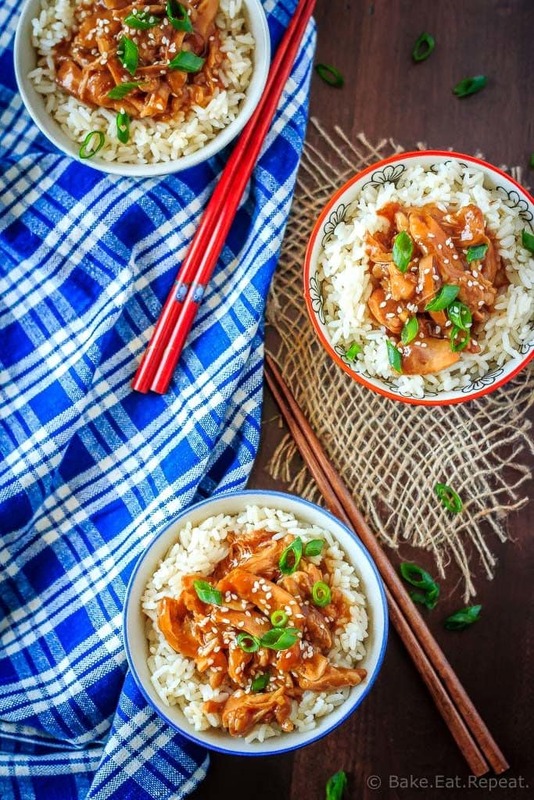 I’ve also shared this Slow Cooker Teriyaki Chicken Recipe over on The Weary Chef. Place the chicken in the crock of the slow cooker. In a small bowl, whisk together the honey, soy sauce, rice wine vinegar, garlic, and ginger. Pour the sauce over top of the chicken and cook on low for 3-4 hours. Move the chicken from the slow cooker to a cutting board and shred it with two forks or chop it into bite sized pieces. Pour the sauce in the slow cooker into a medium saucepan and heat it over medium heat. In a small bowl whisk together the water and corn starch until well combined and whisk the slurry into the sauce. Bring to a boil over medium heat, stirring constantly. Continue to cook the sauce until it has thickened, about 2-3 minutes, and then toss the sauce with the shredded chicken. Serve over hot rice or quinoa, garnished with sliced green onions and sesame seeds if you like. Source: Adapted from this Teriyaki Chicken Stir-Fry .